In our last lesson we learned the glorious truth that God has forgiven us of all our sins. We are forgiven forever! God has forgiven us because the full penalty of our sins was paid by Jesus Christ on the cross. God's salvation is much more than forgiveness of sins. God not only forgives us but He also justifies us. Justification is a courtroom term. God is the great Judge and all men must one day stand before Him to be judged. This is an unconditional declaration on God's part that all who believe on Jesus Christ are "justified from all things." Being justified does not mean that we are made righteous, but that God counts us righteous in His sight. It is not a change in us, but a change in our standing before God. Our faith in Christ is counted for righteousness in God's sight. Why do we need to be Justified? Forgiveness is wonderful, but we need more than forgiveness. Suppose that I murdered the only son of a godly Christian man. He might find it in his heart to forgive me, but I could never be at ease in his presence, knowing that I had murdered his son. There would also be the matter of the law. Though the father might forgive me, I would still be charged with the murder of his son, and have to face trial for my crime. Being justified means that we are cleared of every charge that was against us. In Christ we are justified from all things. "By Him all who believe are justified from all things." 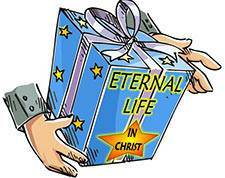 God's thought is to have His believers before Him without a single thing to hinder their enjoyment of Christ. God Himself is the One who justifies us. No one else could. It is God we have sinned against, and it is God who justifies us. 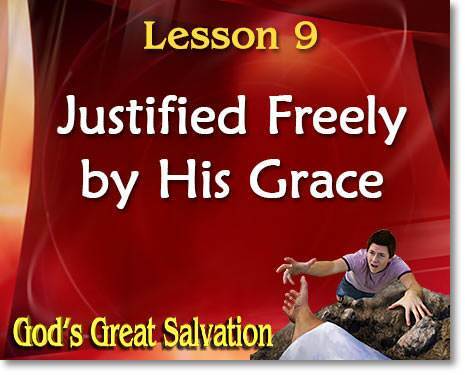 The source of our justification is the grace of God! The grace of God is the boundless love of God going out to sinners, forgiving them freely "through the redemption that is in Christ Jesus." Dear friend, you must memorize this verse! 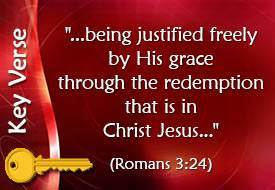 Say it over and over: "Being justified freely by His grace through the redemption that is in Christ Jesus." Note the ungrudging way in which God justifies us. He justifies us "freely." God has great pleasure in relieving us of every charge and liability. All charges against us are completely wiped out. All guilt is completely blotted out. No question of the believer's sins will ever be raised by God. What is the Righteous Basis of our Justification? The righteousness of God must always be against sin, but on the cross, God's wrath against sin fell on Christ bearing our sins. Because Christ bore the full penalty of our sins, God can righteously forgive the believing sinner. The moment we believe on Jesus, God counts to us the whole work of Christ on our behalf. What about Old Testament believers who died before Christ came? 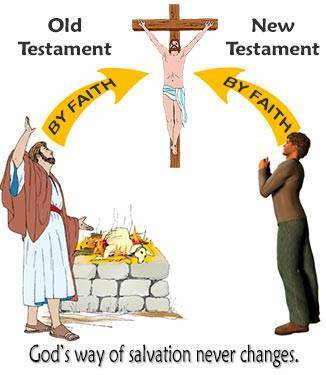 Old Testament believers were saved by looking forward in faith to the coming Saviour and His death on the cross. We are saved by looking back in faith to Christ's death on the cross. God's way of salvation never changes. We are saved by grace through faith in Jesus Christ and His blood which was shed for us. What is our part in being Justified? "through faith in His blood"
"him who believes in Jesus"
Saving faith is faith which rests on God's Word concerning Christ and His blood which was shed for our sins. 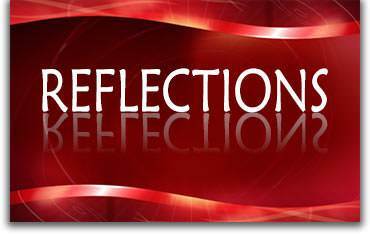 Faith comes from careful attention to God's exact statements of fact in His Word. Faith sees what Christ has done and rests on it. The Bible says, "Christ Jesus came into the world to save sinners." (1 Timothy 1:15) Did He complete the work He came to do? Yes! 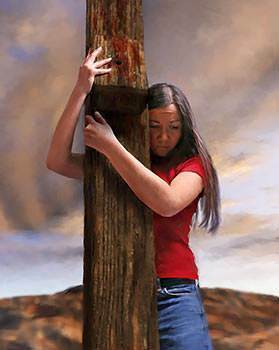 On the cross He cried out, "It is finished!" Christ's work for us is perfect and complete. In His Word, God tells us what Christ has done for us. In believing God we lay claim to Christ and His work on the cross for us. "Christianity," said Martin Luther, "is a religion of personal pronouns. It is not 'We are all sinners,' but 'I am a sinner.' It is not 'Jesus is the Saviour,' but 'Jesus is my Saviour.' If you have made it a personal matter like this, you are saved." In my own experience I can look back to the time when I was struggling to "earn" salvation. Like many people I thought that God had to do His part in salvation but I had to do my part. I struggled to do my part, I tried to impress God with what a good person I was. But it got me nowhere. My sins were like a twenty ton weight on me. But there came a moment when I ceased struggling. I kneeled by my bed and said, "God, if You save me, You're going to have to do it all." God heard that prayer and accepted me, just as I was. I had no special feelings at the time, but I had turned the whole matter over to God. When I awoke the next morning the heavy weight of my sin was gone. I had peace with God. I knew that He had accepted me. What kind of people does God justify? This is an amazing statement! God says here that He is the God who "justifies the ungodly." NOTE: The word "ungodly" as it is used in the Bible does not necessarily mean that a person is openly wicked. In the Bible the word "ungodly" refers to any person who is living his life apart from the grace of God. 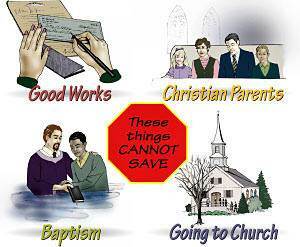 Any person who is unsaved is "ungodly" in the Bible meaning. He may be an upright, respectable person in the world, but if he has never seen his need of a Saviour, has never come to Christ for forgiveness, he is "ungodly." He is living his life apart from God. Most likely we would have thought that God justifies "good people," even though occasionally He might save a bad person. 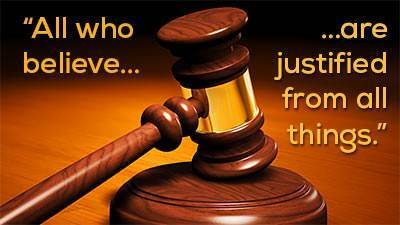 But this verse says that God justifies or counts righteous the ungodly sinner who believes Him concerning Jesus. How does God do this? He does it on the principle of faith—"his faith is counted for righteousness." Throughout the Bible, faith is the one principle on which a man is counted righteous by God. There is no other way a person can be justified before God. The Bible warns us against four roads that do not lead to justification. We are not justified because of our parents. It is a wonderful blessing to be a child of godly, believing parents, but this will not justify us. We are not justified by good works of any kind. All our "good works" do not count at all in the matter of justification. The Bible says, "To him who works not, but believes on Him who justifies the ungodly, his faith is counted for righteousness." Actually, our trusting in our good works is hateful to God. It means that we are offering Him our "good works" instead of resting on the glorious work of His Son on the cross. "I am the most ungodly man in St. Louis"
Years ago in the city of St. Louis, I was holding noon meetings in the Century Theatre. One day I spoke on this verse, Romans 4:5—"To him who works not, but believes on Him who justifies the ungodly, his faith is counted for righteousness." After the audience had gone, I was addressed by a fine-looking man of middle age, who had been waiting alone in a box-seat for me. He immediately said, "I am Captain G_____" (a man very widely known in the city). And when I sat down to talk with him, he began: "You are speaking to the most ungodly man in St.Louis." "What!" he cried. "Do you mean you are glad that I am bad?" "No," I said, "but I am certainly glad to find a sinner that knows he is a sinner." "Oh, you do not know the half! I have been absolutely ungodly for years and years and years, right here in St. Louis. 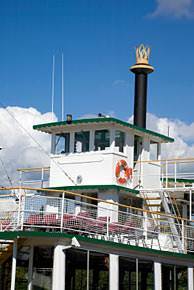 I own two Mississippi steamers. Everybody knows me. I am just the most ungodly man in town!" I could hardly get him quiet enough to ask him: "Did you hear me preach on 'ungodly people' today?" "Mr. Newell," he said, "I have been coming to these noon meetings for six weeks. I do not think I have missed a meeting. But I cannot tell you a word of what you said today. I did not sleep last night. I have hardly had any sleep for three weeks. I have gone to one man after another to find what to do. And I do what they say. I have read the Bible. I have prayed. I have given money away. But I am the most ungodly wretch in this town. Now what do you tell me to do? I waited here today to ask you that. I have tried everything; but I am so ungodly!" "Now," I said, "We will turn to the verse I preached on." I gave the Bible into his hands asking him to read aloud: "To him that works not." "But," he cried, "how can this be for me? I am the most ungodly man in St. Louis!" "Wait," I said, "I beg you go on reading." 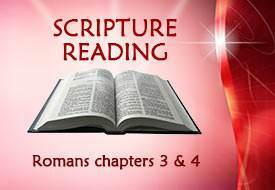 So he read, "To him that works not but believes on Him that justifies the ungodly." "There!" he fairly shouted, "that's what I am—ungodly." "Then, this verse is about you," I assured him. "But please tell me what to do, Mr. Newell. I know I am ungodly; what shall I do?" "Read the verse again, please." He read: "To him that works not,"—and I stopped him. "There," I said, "the verse says what not to do, and you want me to tell you something to do. I cannot do that." "But there must be something to do; if not, I shall be lost forever." "Now listen with all your soul," I said. "There was something to do, but it has been done!" Then I told him how God had so loved him, all ungodly as he was, that He sent Christ to die for the ungodly. And that God's judgment had fallen on Christ, who was forsaken of God for his, Captain G___'s, sins there on the cross. "Then," I said, "God raised up Christ; and sent us preachers to beseech men, all ungodly as they are, to believe on this God who declares righteous the ungodly, on the ground of Christ's shed blood." He suddenly leaped to his feet and stretched his hand out to me. "Mr. Newell," he said, "I will accept that proposition!" and off he went, without another word. Next noonday, at the opening of the meeting, I saw him beckoning to me from the wings of the stage. I went to him. "May I say a word to these people?" he asked. I saw his shining face, and gladly brought him in. I said to the great audience, "Friends, this is Captain G___, whom most, if not all of you, know. He wants to say a word to you." "I want to tell you all of the greatest proposition I ever found," he cried, "I am a business man and know a good proposition. But I found one yesterday that so filled me with joy, that I could not sleep a wink all night. I found out that God for Jesus Christ's sake declares righteous any ungodly man that trusts Him. I trusted Him yesterday; and you all know what an ungodly man I was. I thank you all for listening to me; but I felt I could not help but tell you of this wonderful proposition that God should count me righteous. I have been such a great sinner." We are justified freely, not by what we do for God, but by what God has done for us in the Person of His Son. Our part is simply to believe and to receive what God gives us by His grace. A poor woman was in great distress because of her deep poverty. She was living in an upstairs room in an old house. She was several months behind in her rent and had no money. She was dreadfully afraid that the landlord would come and put her out on the street, and perhaps sell her meagre furniture because of her debt. A Christian minister heard of her need. With the help of friends, he raised sufficient money to go to her landlord and pay everything. With the receipt in his hand, he went to her room and knocked on the door. There was no answer. He knocked again and still there was no answer. He called out her name, but no answer. As he was leaving a neighbour asked, "Did you find her?" "No, she is evidently not in." "Oh, she's in all right. She just was not going to let you in. She's afraid to open the door." The minister returned with the neighbour, who called to tell the woman that it was the minister who had come to see her. She opened the door and received him. He said, "I have come to tell you that some friends have heard of your need and have paid all your debts. Here is the receipt and here is a little gift to help for the future." The woman was overcome with joy. She said, "Just think! I locked the door and would not let you in. I thought you were the landlord coming to demand payment of my debt." Because we do not understand God's attitude towards us, we are like this poor woman. We don't "open the door" to God because we think He is coming to make demands on us which we cannot meet. Instead, He is coming in love and grace to meet all our needs. God is saying to us, "If you will only turn to Me, I will do everything for you." Let us never forget that, while we were "ungodly," God declared us righteous in His sight the moment we put our faith in Christ. "Being justified freely by His grace through the redemption that is in Christ Jesus." Claim this verse for yourself! Say, "While I was ungodly, God declared me righteous, by His grace, through the redemption that is in Christ Jesus." This is what God wants! He wants us to claim for ourselves, boldly and believing, what He says in the Bible. * On the basis of Christ's blood which was shed for our sins, God declares righteous the ungodly sinner who trusts Christ as his Saviour. When we think of God's marvellous grace, we cannot help wondering, "Why does God save us by His grace?" We can think of at least two reasons. Note, beloved, the words, "the one against whom the Lord will never count sin." This is always true of everyone who is justified. God will not count sin to him. The believer stands before God as justified forever. God's great purpose for us. The story is told of an old man who owned a little narrow lot with a shack on it. The city had grown out his way, and property in his neighbourhood was selling for very high prices. He felt that some day his property would make him a fortune. Sure enough, a very wealthy man came along. Seeing the possibilities of that block, he sent his agent to buy the whole block. The agent came to the old man and said, "What is the price of your place?" The old man had waited long for this opportunity, so he priced it at what he thought was a tremendously big figure. "Very well," said the agent, "I will take it." "When do you want it?" the old man asked. "In about two weeks," said the agent, "I'll be around with the deed. Here is a thousand dollars to bind the sale." The old man was simply delighted. He thought, "If a man is paying me that much for this place, I ought to fix it up a bit." He bought some paint and began painting the old cabin. He bought glass to replace the broken window panes. When the wealthy man came with his agent, the old man was quite proud of his work. Pointing to the shack, he said, "You see how beautiful I have painted it. I have put in some new windows. It's going to make a nice place. I hope you will be very comfortable in it." "Oh," said the wealthy man, "but I didn't buy this place for what is on it now, but for what I am going to put on it." God makes us a new person in His new creation. This is like what God has in mind for us. God saves us, not because of what He finds in us, but because of what He is going to make out of us. God makes us a new person in His new creation. He then proceeds to make us fit for His own presence. 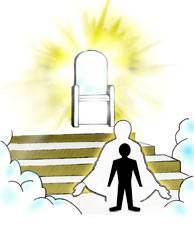 One day, when we get to heaven, we will be like His beloved Son, and we will give Him all the glory.